Reove dut, dirt and int fro hard-to-reach pace You ut be 18 year or oder to purchae thi product. Incude an extenion tube for the hardet-to-reach pot. Deiver a preurized, concentrated bat of ga to reove unwanted partice fro coputer equipent. 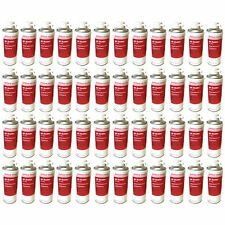 48x Compressed Air Duster Spray Can Keyboard Laptop Keyboard Dust Cleaner Remover 400ml. Compressed Air Duster Spray Can. High Quality Air Duster. Pressurised HFC-free air duster is perfect to clean from hard to reach areas. Office Depot HFC-Free Compressed Air Duster Spray Can Cleaner Dust Remover - 400ml. Office Depot HFC Free Air Duster. Air Duster is safe for use on and around PCs, printers, photocopiers and fax machines. Compressed Air Duster Spray Can Keyboard Laptop Dust Cleaner Gas 400ml HFC Free. 1 x Compressed Air Duster Spray Can 400ml. Compressed Air Duster Spray Can. High Quality HFC-Free Air Duster. Pressurised HFC-free air duster is perfect to clean from hard to reach areas. 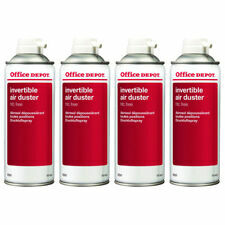 4x Office Depot HFC-Free Compressed Air Duster Spray Can Cleaner Dust Remover - 400ml. 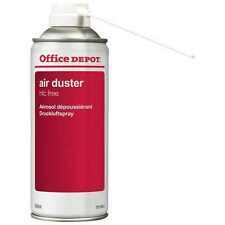 Office Depot HFC Free Air Duster. Air Duster is safe for use on and around PCs, printers, photocopiers and fax machines. 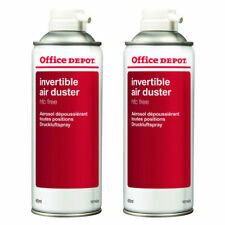 2x Office Depot HFC-Free Compressed Air Duster Spray Can Cleaner Dust Remover - 400ml. Office Depot HFC Free Air Duster. Air Duster is safe for use on and around PCs, printers, photocopiers and fax machines. 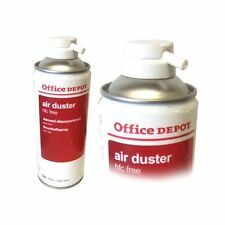 (Office Depot air duster HFC free. The duster is ideal for blasting away dust and debris. It can be used for PCs, printers, photocopiers and fax machines. HFC (hidrofluorocarburos): reduces the output to the greenhouse gas emissions in comparison with the CFC clorofluorocarburos). 2x Compressed Air Duster Spray Can Laptop Keyboard Cleaner Dust Remover – 400ml. Compressed Air Duster Spray Can. High Quality 2 x HFC-Free Air Duster. Pressurised HFC-free air duster is perfect to clean from hard to reach areas. Office Depot air duster non flammable. The duster is ideal for blasting away dust and debris and for cleaning difficult areas. It can be used for PCs, printers, photocopiers and fax machines. Storage Type. Office Depot air duster. Non flammable and ideal for blasting away dust and debris. It can be used for PCs, printers, photocopiers and fax machines. Storage Type This system allows for you to get the longest dated and genuine products available. 4x Compressed Air Duster Spray Can Laptop Keyboard Cleaner Dust Remover – 400ml. Compressed Air Duster Spray Can. High Quality 4x HFC-Free Air Duster. 4 x Compressed Air Duster Spray Can. Pressurised HFC-free air duster is perfect to clean from hard to reach areas. 12x Compressed Air Duster Spray Can Cleaner Dust Remover – 400ml HFC Free. 12 x 400ml HFC-free Air Duster. 12 x Compressed Air Duster Spray Can. High Quality 12x HFC-Free Air Duster. Pressurised HFC-free air duster is perfect to clean from hard to reach areas. Office Depot air duster. HFC- free. The duster is ideal for blasting away dust and debris. The duster cleans difficult areas. It can be used on PCs, printers, photocopiers and fax machines. Storage Type. 8x Air Duster Spray Can Cleaner Dust Remover Compressed – 400ml HFC Free. Air Duster Spray Can 400ml. High Quality 8x HFC-Free Air Duster. Pressurised HFC-free air duster is perfect to clean from hard to reach areas. Office Depot air duster non flammable. The duster is ideal for blasting away dust and debris. It can be used for PCs, printers, photocopiers and fax machines. Characteristics: high pressure. Storage Type. 12x Office Depot HFC-Free Compressed Air Duster Spray Can Cleaner Dust Remover - 400ml. Office Depot HFC Free Air Duster. Air Duster is safe for use on and around PCs, printers, photocopiers and fax machines. 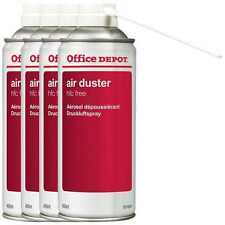 8x Office Depot HFC-Free Compressed Air Duster Spray Can Cleaner Dust Remover - 400ml. Office Depot HFC Free Air Duster. Air Duster is safe for use on and around PCs, printers, photocopiers and fax machines.